The Philadelphia Phillies receive catcher J.T. Realmuto from the Miami Marlins in exchange for catcher Jorge Alfaro and pitching prospects Sixto Sanchez and Will Stewart. The Marlins finally traded their only big asset left to the Phillies and received in return the young catcher Alfaro, the best prospect in Philadelphia’s farm system; Sanchez and left-handed pitcher Stewart. Given the stories which swirled around earlier in Winter that the Marlins rejected the Yankees offer of Gary Sanchez and Miguel Andujar, it’s hard to see this as a win for the Marlins although they did receive a nice haul if things pan out. Firstly, a quick review of the Marlins new trio. 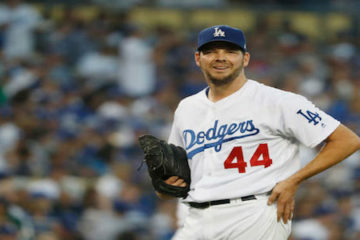 Will Stewart projects to be a back-end of the rotation starter although even if things don’t quite pan out, he should still be a solid Major League reliever. He’s had early success in the Minors although he’s yet to reach Double-A ball so is still some ways away from contributing for the Marlins. Next, arguably the biggest piece of the trade, is right-handed pitcher Sixto Sanchez. His bright start in the Phillies’ minor league system was derailed somewhat by injuries but he’s still regarded as a potential top of the rotation starter and if he can maintain a full season of good health, Sanchez should be a big part of the Marlins rotation going forward. MLB Pipeline’s recently updated Top 100 prospects has Sanchez ranked 27th overall, in terms of comparing other pitchers he’s ranked near, Mike Soroka and Brent Honeywell are 24th and 28th overall respectively. Sanchez should be owned on someone’s team in dynasty leagues, especially those not needing his usage in 2019. Jorge Alfaro had his first full season in the Majors last year and the once top catching prospect hasn’t been able to live up to the hype of his rookie career. In 108 games, Alfaro hit 10 homers and compiled a .262/.324/.407 slash line, which when comparing catchers, isn’t terrible. But when you consider that twenty other catchers hit double digit homers in 2018 (including the likes of Austin Romine and Nick Hundley), and 14 of those had a better slugging rate, it’s hard to say Alfaro has been the MLB catcher many thought he would be. He should play plenty enough for the Marlins but other than in NL-Only, 2-catcher or 14-team leagues, Alfaro probably shouldn’t be drafted. 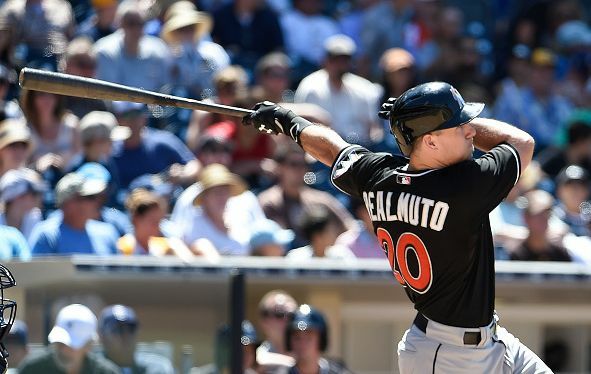 Now onto the big part of the trade; JT Realmuto who is arguably the premier catcher in fantasy. Regarded as a top-5 catcher in fantasy heading into 2018, Realmuto now goes into 2019 with only Gary Sanchez as the other possible no.1. On NFBC drafts, Relamuto has an ADP of 56 and Sanchez 58. To give some context as to what the fantasy community thinks of this trade for Realmuto, his ADP since the trade is 49 so it’s safe to say it’s considered a good thing for his fantasy value. To emphasise how big of a move this is for fantasy purposes, the only current Marlin’s hitter with an ADP under 300 on NFBC is actually Jorge Alfaro (226) which isn’t surprising as NFBC uses the 2-catcher format. The Phillies have five hitters other than Realmuto with an ADP under 300. The Marlins unsurprisingly ranked last in runs scored in 2018 with 589. The Phillies only ranked 21st (tied with Seattle) with 677 but have since added Jean Segura and Andrew McCutcheon to their lineup this off-season. The Phillies also boast a ballpark which generally ranks inside the top-10 for hitters whilst Miami’s is a bottom-5 ballpark. Everything about the move is only a boost to Realmuto’s bat. So, what about Realmuto himself? Before last season, Realmuto was considered a 5-tool contributor from the catcher position. Stolen bases were a big part of his arsenal with 8, 12 then 8 again in the last three seasons. 2018 saw Realmuto only get three steals, but that was mostly due to not having opportunities and/or a green light to do so. You’d have to expect the Phillies to utilise him as much as possible and a return to double digit steals is plenty plausible. In terms of his bat, Realmuto’s 2018 was his best yet. 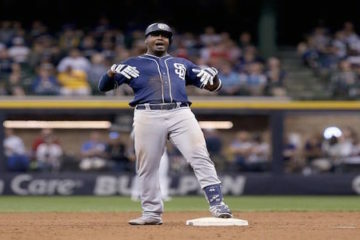 Despite his batting average being his lowest in 3 years (.277), he had career highs in home runs (21), isolated power (.208), slugging (.484) and a host of other stats (wRC+, wOBA, hard hit %). He did hit the DL for the first time in 2018 with a back bruise but that’s not the sort of thing you worry about lingering or re-occurring so entering his age 28 season, there’s nothing to suggest the Phillies new backstop can’t take another step forward. A 25 homer, 10 stolen base and .280 average is hardly a wild expectation, even a repeat of last year wouldn’t be a disappointment. I’ve never been one to draft a catcher early, but if you do go for one of the top-2, Realmuto is the safer choice having established a nice floor but offering a bit more upside potential. The last two years has shown Sanchez as the boom/bust option of the pair. I probably still wouldn’t draft Realmuto inside the first five rounds but he’s certainly the first catcher I’d want on my team this year.